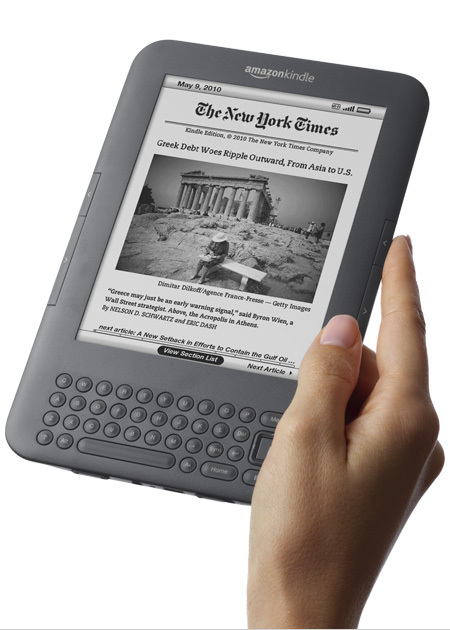 Last week, a friend of mine wrote an article all about e-readers and their importance. It is a well written article and I urge you to check it out, but I must also heavily rebuttal it. It's no great secret that I love paper books. I subscribe to all the often said reasons for my adoration; the smell, the feel of paper, the unique experience that is reading. I also believe books are incredibly important. They hold a treasure trove of knowledge, opinions and art. They illuminate and touch on every topic possible. In short, I think the printed word is one of the most important things humanity has ever created. I believe the printed word is also a great equalizer. As long as you have the ability to read, you can learn anything you want. In his article, Agrippa also mentions the same thing. He postulates that the ever evolving technology of ebooks will make it easier than ever to get information to the masses. His article states that this technology will increase the flow of knowledge and allow people to access texts that are banned or unavailable to them because of social circumstance. The paper book clawed it's way to popularity because it's words and ideas were unchangeable. Once it was printed, it was there. Unless an updated edition went out, there would always be that printed idea. If you could read, you could access the contents and ideas. Of course, this has continuously made people and governments incredibly unhappy and instances of book burning and book banning are still lamentably common. Revolutions have been started by things written down in books. Totalitarian governments did all they could to stop people from reading certain books, entire groups have historically been denied even the ability to read so as to keep them in slavery and ignorance. But you know what? Books have always won. You may burn them or ban them, but books will always make it through. You can't burn every single copy of a book in existence and bans just make everyone want to read them even more. Banned books are some of the most popular ones. Unfortunately, I think technology makes this exchange of ideas and information more difficult. Yes, you heard me correctly. While some say the message trumps the medium, I'm inclined to disagree. In this age of up to the minute news and ever changing technology, the message is often quickly changed, obscured or outrightly deleted. How can the message be read if the message suddenly doesn't exist? Take, for example, the Occupy Wall St protest that has been going on for a few weeks now. It hasn't been widely reported in the major news networks for a myriad of reasons. (One big reason is that most major news networks are owned by major corporations, but that's a rant for another time). 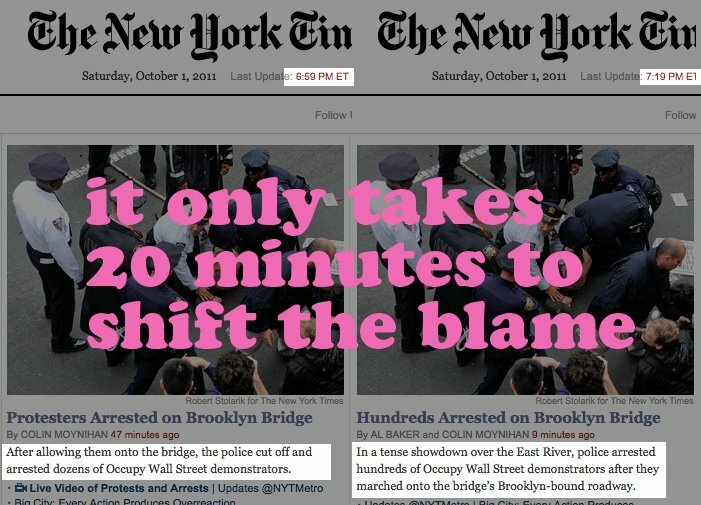 When the protesters marched on the Brooklyn Bridge and were arrested en masse, the New York Times finally decided to cover it. First they posted an article that put the protesters in a positive light. Twenty minutes later, the article had been edited to put them in a negative light. Twenty minutes. That's all it takes to change history today. In a print newspaper, that would almost never happen. Once the words are there, they can't be taken back. In this era of digital everything, something so pivotal as a protest can be changed and you may never be any the wiser. I'm afraid this may one day apply to books. Once they're all digital, censorship becomes incredibly easy and you may never know it. I know I sound paranoid, but I believe it's a legitimate concern. Another concern for e-books is their ability to be easily deleted. With a paper book, "deletion" doesn't ever apply. Sure, you may lose a book or loan it to a friend who never gives it back, but you can always go get a new one. What if, in a future of e-books, you woke up one morning and your Kindle had been wiped clean? Although it sounds like the start of a dystopian sci-fi novel, this actually happened to some Kindle users in 2009. They woke up to find their copies of George Orwell's novel, 1984, completely deleted from their devices. Amazon had deleted it without even an e-mail to tell people. Of course, it had to happen with 1984. That's some delicious irony right there, and added to the general unease about it. The people who had purchased the e-book lost their bookmarks and notes and were initially out the money they had paid, until Amazon finally offered them a credit. Without telling anyone, Amazon was able to access the device's library and delete that title. Just like that. While Amazon claimed it was a one time instance and wouldn't happen again, it doesn't fill me with a lot of confidence where e-books are concerned. It would be impossible to burn or destroy every physical copy of 1984, but Amazon was able to totally delete it from users within minutes. I don't know about you, but I don't want to leave the security of my library to some cloud storage or big corporation who can quickly take it back. I think the final problem I have with e-books is the myth that suddenly everyone will be able to have millions and billions of books at their fingertips. There is this rosy idea of a future where e-readers are as ubiquitous as the paper books they will replace. I think this is a fine idea, if you can afford the hardware or have adequate access to electricity or the internet. Paper books have always been a great equalizer because they are so simple. Just paper and words. You don't need anything to use them except the ability to read. You could be the richest person in the world or a person living without electricity and you can still equally use a paper book. In fact, I think that is part of the allure of a paper book. Anyone can walk into a library, get a library card and have access to a wealth of ideas and stories. FOR FREE. Completely and utterly FOR FREE. Legally! With e-readers, the idea of free goes right out the window. Currently, the cheapest Kindle is $79 and the price of e-books are inflated. E-book lending is in it's infancy. Some libraries are testing the waters on it, but then you have the problem of formats. Can a Kindle read a .pdf file? A Nook can't read a .mobi file. Suddenly, the books can't be shared easily. With paper books, you don't have to worry about format. I also believe that the price can be extremely prohibitive to some people. If someone can barely afford food, how can they afford a Kindle? A library will provide them books for free, but will the future involve only certain groups being able to read because others are priced out? They may never get the message, because the medium is unreachable for them. Why should someone have to spend nearly $100 just to be able to read? Let's take this even further. Even in developing nations, you can find paper books and libraries. Books can be easily donated and sent to people in need. Some places may have intermittent electricity or environments that may destroy an electronic device. If there is government upheaval, e-readers could easily be confiscated, wiped or locked out from the internet. Instead of going to a child in need, an e-reader could be sold or stolen. Paper books can go anywhere in the world. They don't need electricity or the internet, they can't be remotely wiped by a government. To try and remove paper books and force the world into an era of e-readers, you do a disservice to the ones that books could help the most. I can't donate an e-book to a needy child, but I can certainly purchase a paper copy of Dr Suess and do whatever I want with it. When it comes right down to it, paper books will always be needed. Maybe, one day, the technology will advance so much that some of these things will no longer be concerns. I don't really see that happening, sadly. Books are always a sure thing. You can count on a book. An e-book? Who knows. Data is so easily manipulable, who can say that the last ditch efforts of censorship or outright deletion won't visit them? Will the price ever be low enough to allow everyone to read? E-books are a fine idea, but I'm going to keep my regular books. They won't crash, can't be deleted and don't need electricity. They can't become obsolete and I don't have to worry about formats. A book won't become unusable if I drop it and I can lend it to anyone I want to. One day, when the new Kindle Fire (Fire? Seriously? Why didn't they just call it the Kindle Fahrenheit 451?) is an obsolete and functionless relic, the paper book I bought today will still be readable and unchanged. That is part of the necessity and magic paper books have. Try and simulate THAT, e-readers.